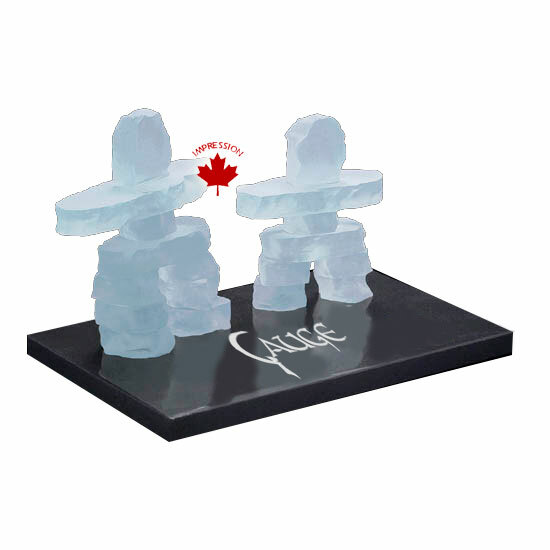 Inukshuk mother & child on a marble base made out of frosted recycled glass. Each item is packed in a gift box. Etched $67.00 $60.00 $59.00 $58.00 each.